Sasha Farina. Paper. Play. : Just hug her, a few minutes longer. . .
Just hug her, a few minutes longer. . . I have been wanting to blog for the longest time! Sorry I couldn't make it here sooner. Those on my facebook will already know this - my mom was operated on last Friday. Thank you guys for your prayers, kind thoughts and comforting words. She is home now, recovering well. I hope she will be back to 100% real soon. I was done with this page a couple of days before she was admitted, but the photo taking got delayed until this morning. Just a simple one, that title, though, loaded with love. My mom, she just loves and loves and keeps on loving everyone. She is strict at work and when we were young.. but if she was not, then I won't be here. The amount of heartache I gave her when I was growing up, wow.. I can't even imagine. I don't wish I can turn back time and be a good girl, because.. DUH, that won't be possible, we have to be realistic, no? I am just gonna hug her that few minutes longer from now on. And let her know I appreciate everything that she has done for me, doing for me and will be doing for me. Sorry for the sappy-ness overloaded, ok.. now the layout. When i looked at this pic, this layout is kinda similar to my Night Owl layout, don't you think? :) Alike, but so different. 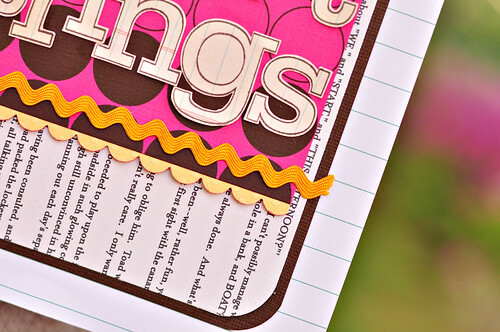 Stampin' Up Scallop Edge Punch and ric rac, again. You can't find Hambly Dandelions paper in that purplish color, because I learnt from Dina (thank you, gorgeous) and sprayed glimmer mist on the Kraft Dandelions paper and then wiped it off to bring out the silver. Then because I can't leave the layout alone, I punched some holes and tied red thread into what looks like bow, i hope. :D I'm hopeless with bow-tying. I don't even buy clothes with bows for my girls. Sham does.. and we only put it on when Daddy's around. LOL. Hambly's Earth Day giveaway. While you're there, scroll down a teeny bit and check out our amazing guest designer, Debee Campos, and also beautiful creations by Tulip Girls! Are you a twitter-er? LOL that's a mouthful. Follow Hambly Studios! And not forgetting the Hambly Contest running at TwoPeas right now. Sorry about your Mom...hope she feels better soon. What a great LO to celebrate her. Really love how you sprayed the flowers...I don't own glimmer mist but now that I've seen examples of it, it makes me want to try it. I just saw one sprayed over a stencil. How cool is that? Sending you my prayers Sasha, hoping your mom has a speedy recovery! Your layout is absolutely beautiful! Yep hug her a few minutes longer,,,that is too sweet! 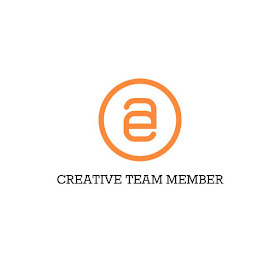 I'll be at Creative Escape... learning. :) You can come teach me. :D See you there! So sorry about your mom but glad to hear she is on the road to recovery. When I lost my Dad on 12/31/06 I learned that time is precious and that I need to appreciate my mom even more than I already do and to make sure that I tell her how much I love her daily because that is the one thing I regret about not doing with my dad. So YES, hug her longer, tell her how much you love her (they can never get boared of hearing that) and spend as much time together as you can. Be blessed and I will keep you both in my prayers. My prayers for your Mom for her full recovery, yep give her that power hug, wish I can do that to my Mama everyday. Have fun on the escape, tell us stories yah! Oh my...I'm sorry to hear about your mom's op! Here's to wishing her a speedy recovery Sasha! That's a really really precious layout for her! Love the touch of the red thread! sha hope your mom will be fully recovered real soon!precious LO there..and i love it :) hugs babe! so glad she is recovering. Have a super cool time at Creative Escape, will be thinking of you!! I hope your beautiful mom has a speedy recovery..I love that pic of her! 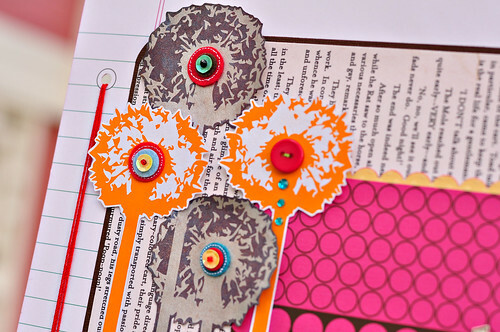 Your layout is so inspiring...I just love how you mix your papers and embellishments. so glad your mom is on the mend! Love the layout-and wish I was going to creative escape-hope you have a fabulous time!! Sorry about your mom but glad that she seemed to be doing ok. 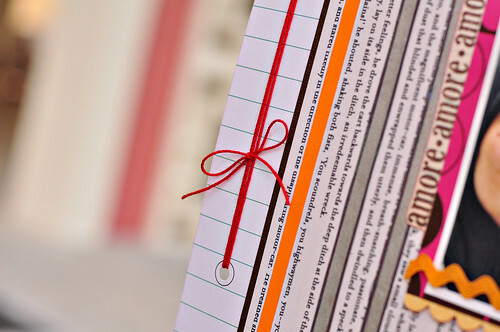 The lo is gorgeous, you are so creative and I love how vibrante and colorful your layouts are. Really stunning work! big hugs to you!! Wow girl your stuff is amazing, always! Another gorgeous LO! Hope your Mom is feeling better soon. Sending (((HUGS))) and prayers your way. I am so glad your mom got out of the OT allright. I keep her in my thoughts for a very speedy recovery. glad to hear your mom is doing good. those are such sweet words you said about her. amazing lo too girl. So glad to hear your mum was ok. Sorry didn't get round to sending you some hugs earlier during the worst part of it. And hey, your layout and the description made my hair stand - in a good way lah. Lots of hugs to you as you hug your mum lots..
Sasha, I am SO glad your mom is ok! Reading what you wrote reminded me of me and my mom - us girls sure need our mama's, don't we? Your layout is gorgeous - I can't stop staring at those flowers! I just bought some new hambly transparencies at my LSS... can't wait to dig in! Have a great time at CE, sounds like a blast! I hope your mom is doing a little better by now... and that each day she will improve a little bit. I love the layout you created for her - the title is PERFECT with that little string-bow on the side... love your style! well wishes to your mom and hope she'll have a speedy recovery ...! sorry about your mom - i hope she's feeling better!! The layout is beautiful and so is your mother!! Sorry about your mom,I hope your mom recovers soon! Oh Sasha.. hope your mom is much better very soon! I'll be thinking of her and keeping her in my prayers. I always love looking at all the little details in your work... alway have!! Beautiful! Hugs and good thoughts coming to you and your Mom! Hope she is recovering well! Oh Sasha, feel sorry about your Mom ! Hope she feels better soon ! Love your layout, so inspiring ! Love the big flowers next to the picture ! I hope your mom will be better soon. I love your LO and specialy your flowers. Thanks for your coming on my french little blog, I really appreciate. Ignore the laundry girl! Love that layout, thinking of my mum today too, it's her b-day. I hope your mom gets better soon! Oh Sasha! So happy to hear your mom is recovering okay! I've missed your posts immensely!!! Love the layout of your mom!! Simply beautiful!! :) Take Care! I really love your work. It gives me inspiration and energy. Sorry to hear about your Mum. Hope she's on the mend. i was interrupted by the baby, but wanted to say that your mom will be in my prayers. Your LO is absolutely beautiful girl! Continuing to keep your mom in my prayers - so relieved that she is on the road to recovery! Big HUGS to you too! I hope your mama feels better soon! This post ties into what I wanted to say about your last post on my blog. It was like you were reading my mind, because I feel the same way, but I also hope my girls feel about me the same way you feel about your mom. sending healthy thoughts to your mom. Hugs, Sasha! Hope your mom is doing well. I can feel how important she is to you. You are lucky to have her. Love your gorgeous page. Those Hambly dandelions are awesome....so cool sprayed with the glimmer mist. This is really precious, my dear. :) I'm going to hug my mom today. That's a beautiful layout, hope your mum is better now?? Sending well wishes to your mom. Love the glimmer mist flowers! I bought 2 bottles yesterday,can't wait to play! Love the tip with glimmer mist on the dandylions! they came out very retro looking! Happy NSD! Your mother is beautiful as is your layout! Wonderful work! ((hugs)) and continued thoughts and prayers for your mom's recovery! Mommy, do you need more funny faces?